The Family Engagement Center hosted its first K-5 Literacy Night on Tuesday at Cottage Lane Elementary School, thanks to K-5 Literacy Coach Kristy Nadler and teachers Elizabeth Barsanti, Lindsay Brown Suzanne Dowd, Kerri Goldstein, Bridget Incognoli, Lucia McCahill, Jesse Smith, and Beth Speno. Families had an opportunity to visit a number of reading stations during each of the two sessions. 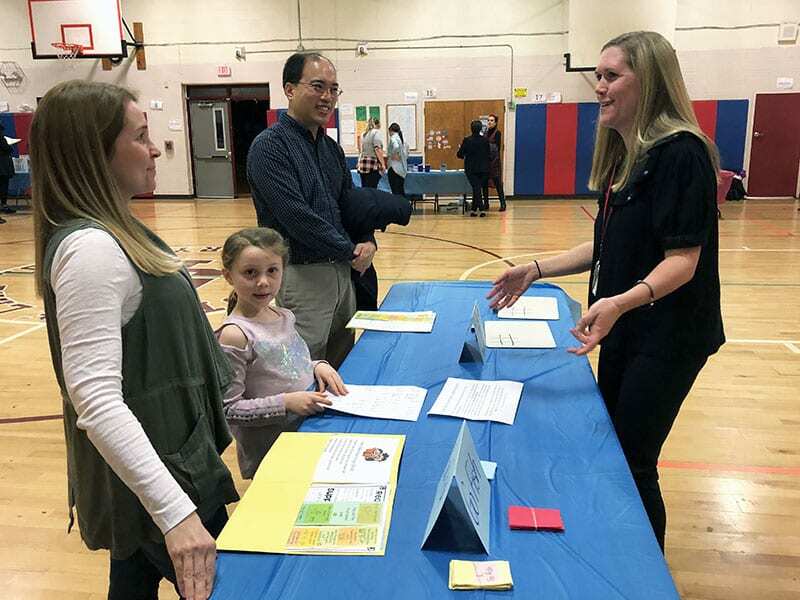 “Our elementary reading specialists provided parents with strategies to support Teachers College Writing and Reading Project school work at home,” explained Ms. Nadler. “There’s also an element of fun, introducing ways to incorporate literacy into games that families may already play,” added FEC Coordinator AJ Walker. Thanks to the Tappan Zee High School Leo Club for providing on-site childcare for families!